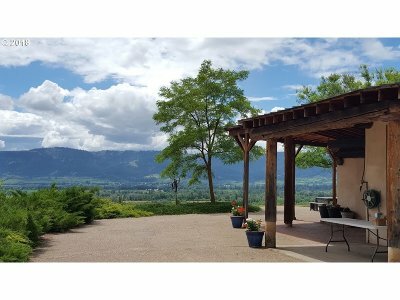 Room to roam on 383 acres with a true $1, 000, 000 view from a comfortable, efficient and intriguing 2785 sf, 3bd, 3bth hillside, "envelope" home. Enjoy an attached 1420 sf garage/shop, outdoor kitchen area, and fenced orchard/garden. Walk the many scenic trails throughout. The property offers a grand setting for family or group gatherings or bask in it's inspirational serenity. A must see property with a story to tell of it's evolution.